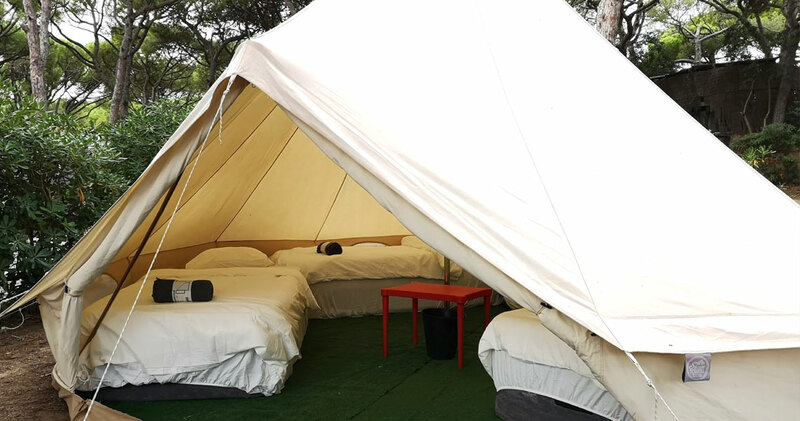 Enjoy a luxury experience by staying at the festival’s glamping area. Discover all the options on offer and choose the one that best suits your needs. Don’t miss this opportunity to enjoy accommodation with all the amenities of a hotel, but under the stars. Rest like a king so you can give your all at the concerts! 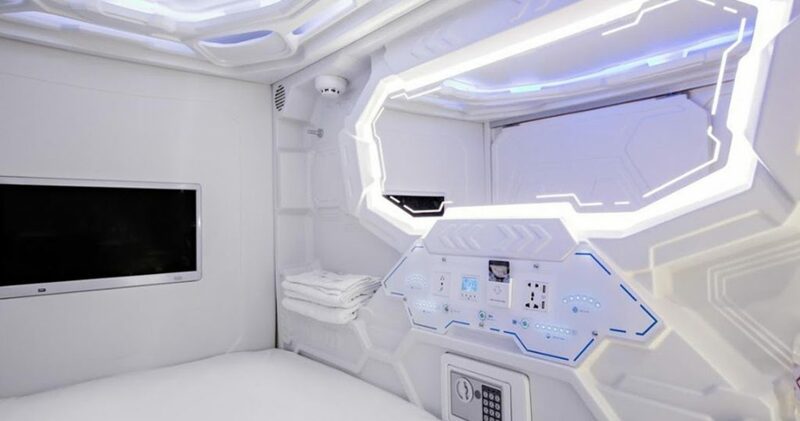 Sleep like you’re in a hotel room in these double or individual cabins offered by The Glamping Co., set up inside a container, with centralised electrical systems and air conditioning. They also have a terrace with tables, benches and sun umbrellas for maximum enjoyment. Buffet breakfast is included from 9:00 to 12:00 am every day of the festival. Capsule with acoustic and thermal insulation. Adjustable air conditioning system with air ventilation. Complete set of bed linens, consisting of: a top sheet, duvet and duvet cover, bottom sheet, pillow and pillowcase. 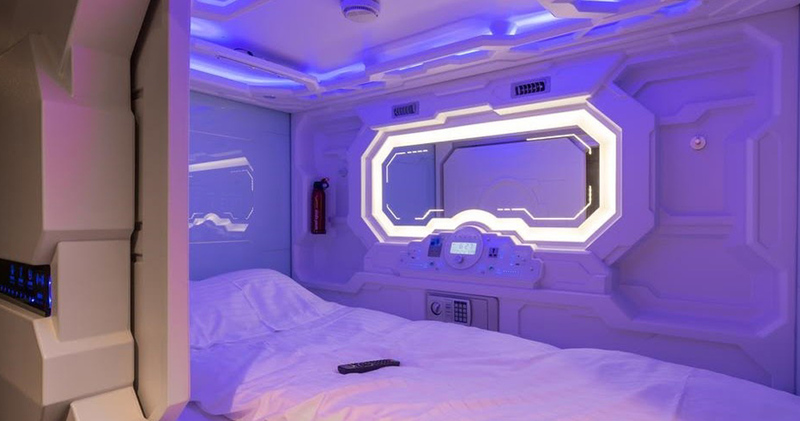 Real room controls, temperature control, charger with USB socket, electronic safe, hotel key card. Smart LED light control, reading lamp, background light, ceiling light. Sloping sheet of tempered glass, fire extinguisher, extra-sensitive smoke detector, waterproof luxury mirror. If you want to go to a festival but don’t feel like carrying and pitching a tent, the Glamping Co. fully equipped Bell Tent is your premium accommodation solution. 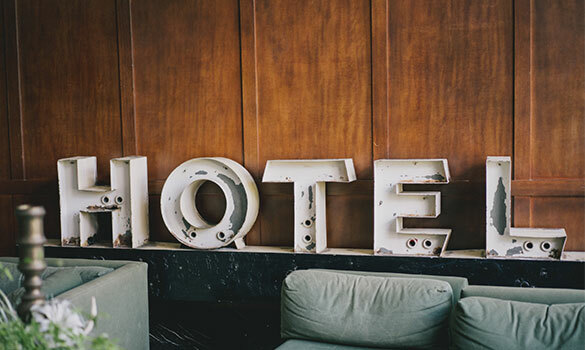 With added services as breakfast buffet (depending on the agreement with each event), courtesy/welcome drink and its fully equipped beds to make your stay an exceptional experience. Apart from sleeping with the Bell Tent comfort, this new type of tent offers you the breakfast buffet, so you don’t have to worry about anything. Fruit, coffee, infusions, milk, juices and pastry are included in this buffet, every day during the festival from 9:00h to 12:00h. Single or double, depending on users choice, double thickness auto inflatable mattresses (specify when doing the check in, otherwise it will be single matress). Bedding, which includes: Sheets, Duvet and Duvet cover, Pillow and Pillow case. Recycle Bin and Side Table. If you want to go in group to the festival but don’t feel like carrying and pitching a tent, the fully equipped Emperor Tent is your premium accommodation solution up to 8 person. With added services as breakfast buffet, courtesy/welcome drink and its fully equipped beds to make your stay an exceptional experience. Apart from sleeping with the Emperor Tent comfort (6 meter diameter) from 1 to 8 person, this new type of tent offers you the breakfast buffet, so you don’t have to worry about anything. Fruit, coffee, infusions, milk, juices, toasts and pastry are included in this buffet, every day during the festival from 9:00h to 12:00h. 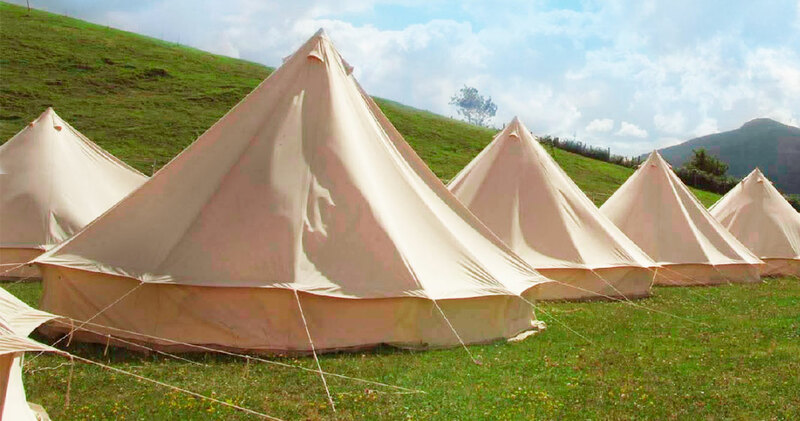 Adaption of the Bell Tent’s comfort for a less expensive and more personal format. 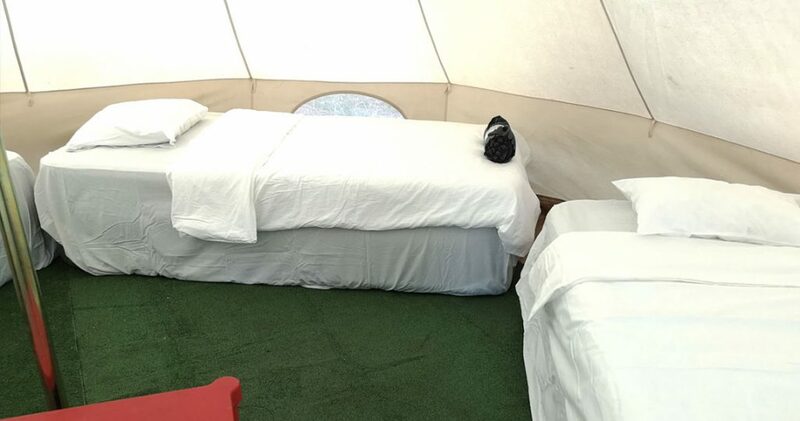 Easy Tent provided with two single inflatable matresses (2x70cm) or a matrimonial matress (140cm) for two people occupancy, allowing you to sleep with total comfort and privacy adapting the offering for couples or groups of two people. Bedding, which includes: Sheets, Duvet and Duvet cover, Pillow, and Pillow case. Apart from sleeping with the Easy Deluxe comfort, this new type of tent offers you the breakfast buffet, so you don’t have to worry about anything. Single bed, double thickness auto inflatable mattresses. 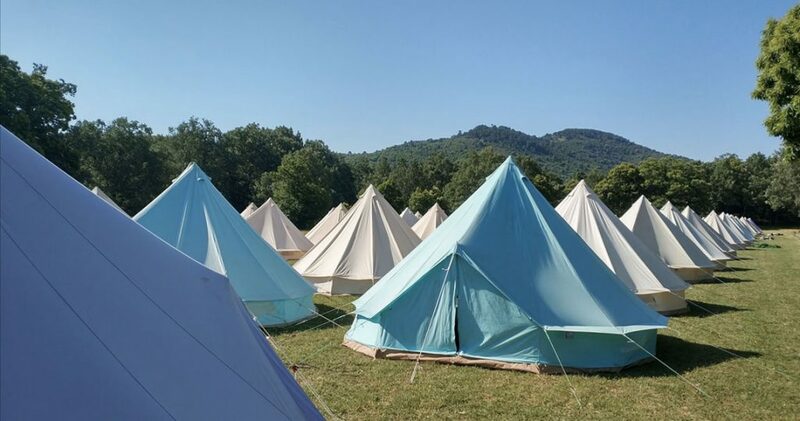 We offer you already pitched tents, for two people in the Glamping Area inside the festival, where you can accommodate and enjoy in complete comfort the Bilbao BBK Live. No need to carry and pitch the tent, and no fights for a piece of ground in acceptable conditions. We have everything ready for you, you only need to have fun when you arrive! Do not forget to buy your camping ticketaquí. 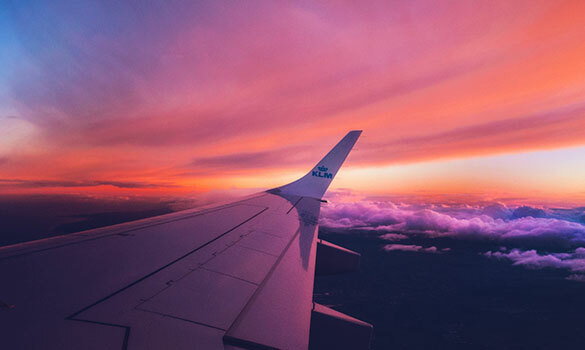 Check flights to Foronda and, if they don’t, remember that Bilbao Airport is just an hour from Vitoria. You prefer being in the centre of town and the first to arrive to the concerts at La Virgen Blanca, or sleeping undisturbed until midday. The ARF campsite is 100 m from the Mendizabala site. 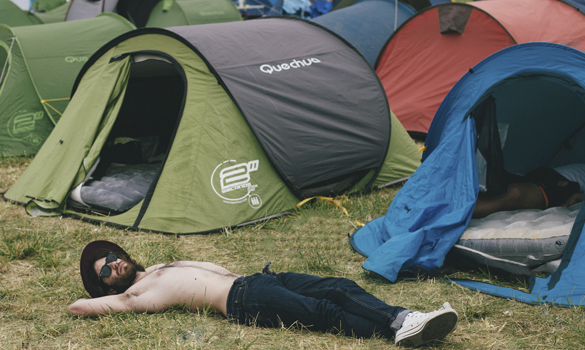 You’ll never have to travel so little between a festival and its camping site.